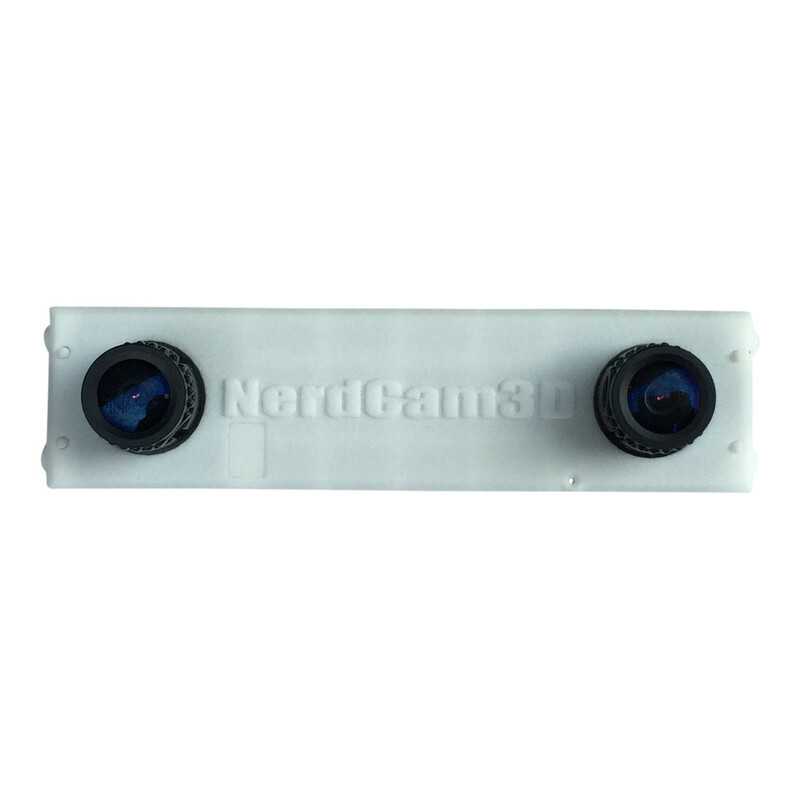 The NerdCam3D Mk.2 is the newest, most advanced and most versatile 3D-FPV flight camera in the class of analog video/standard definition 3D-cameras. 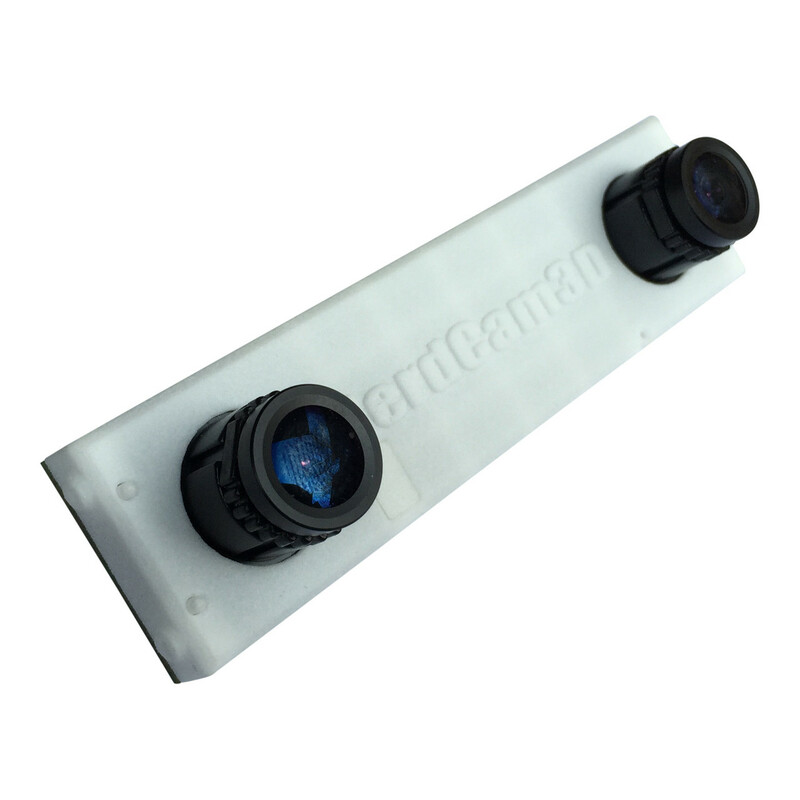 This new and completely updated design comprises state-of-the-art automotive image sensors and advanced minimum-latency video processing features. 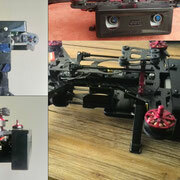 It also includes a significant number of improvements over the previous Mk.1 model. 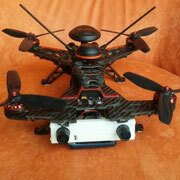 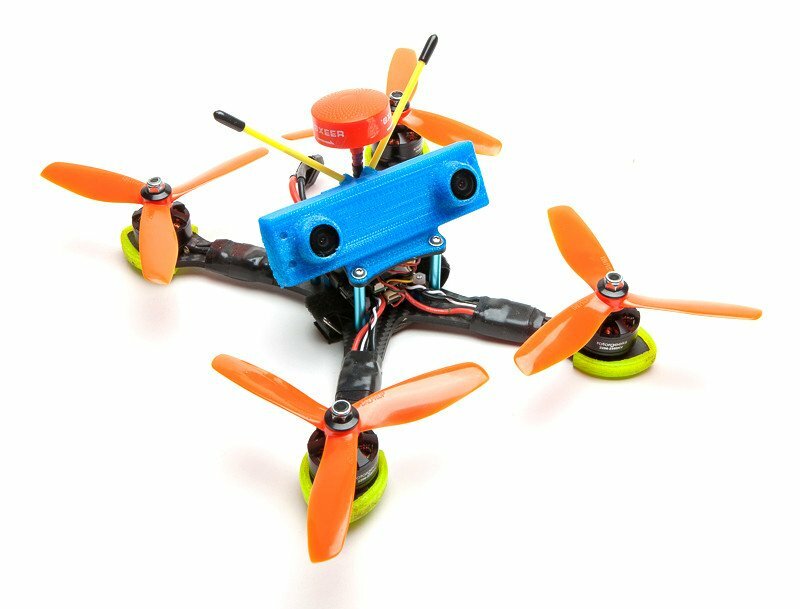 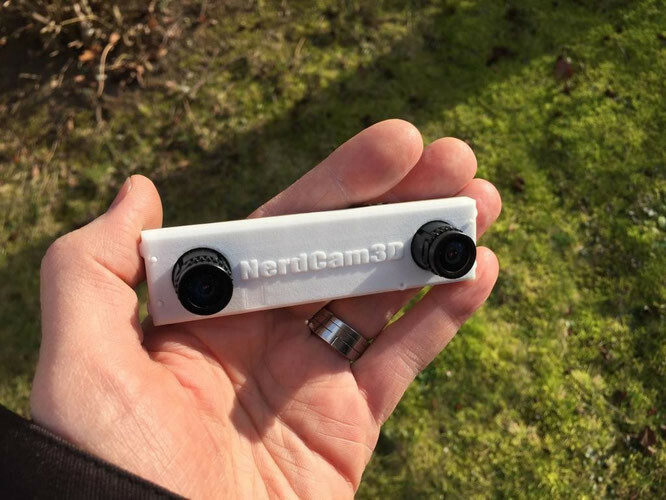 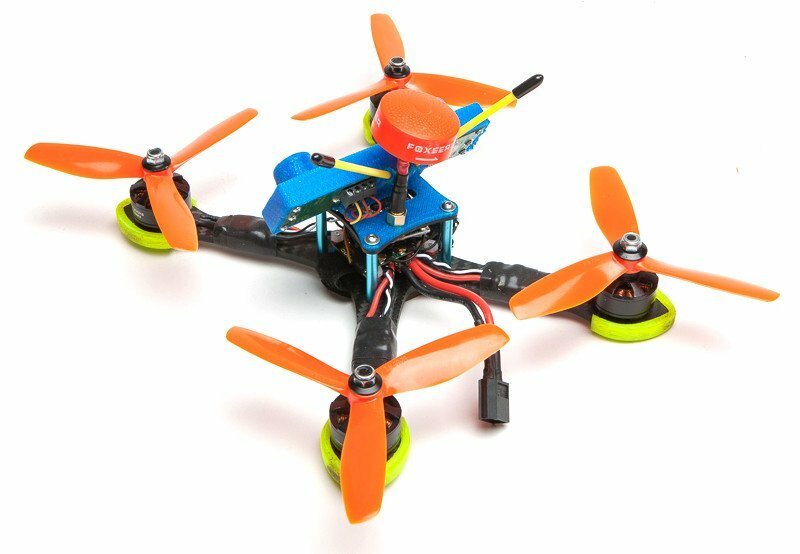 The NerdCam3D Mk.2 addresses many suggestions and feature requests by the steadily growing community of 3D-FPV enthusiasts. The scope of delivery includes the camera, a printed bilingual manual (English, German), a bag of replacement parts containing lens holder, lens lock-ring, special M1.8x6 screws for the mounting posts of the camera case and an optional plug for the DIP-switch aperture as well as two replacement pins for the micro switches. 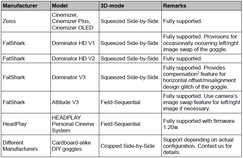 List of supported FPV goggles. 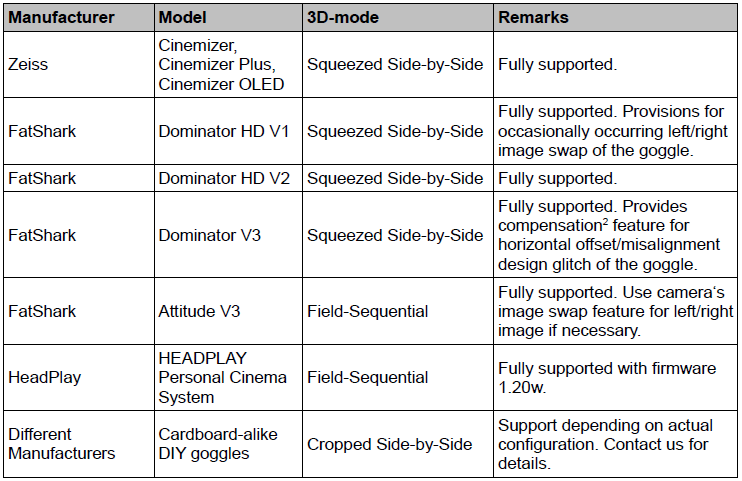 In addition to the list shown here Dominator HD V3 goggle is also fully supported. 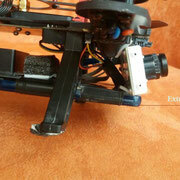 Notice: The camera is fully compatible with the Dominator V3 goggle. 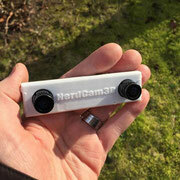 It is however not a 16:9 aspect ratio camera. Hence the 3D-image inside the Dominator V3 goggle will be stretched horizontally form 4:3 to 16:9 aspect ratio. 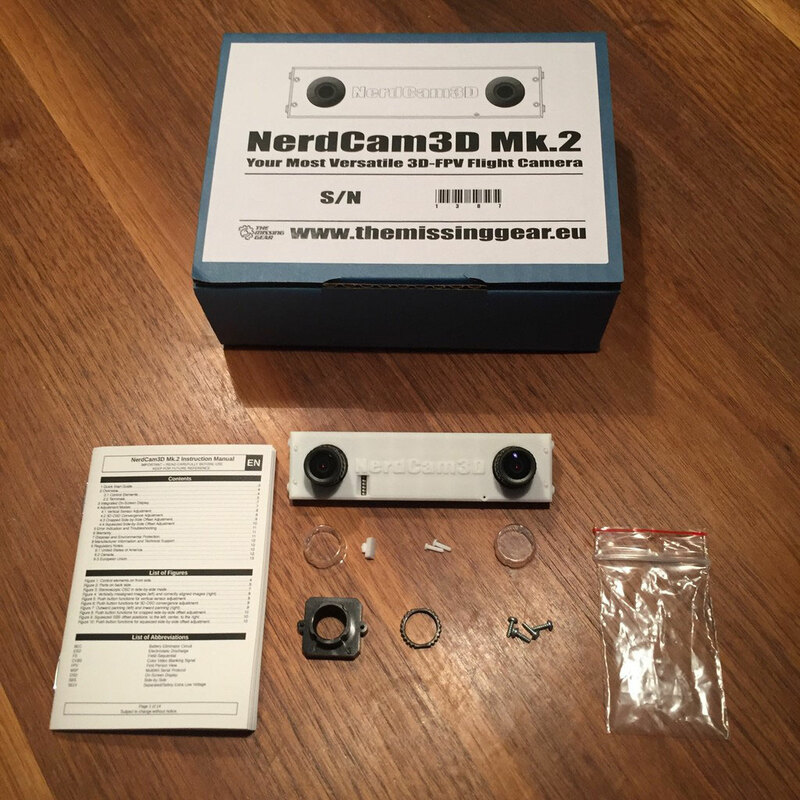 Update: AOMWAY Commander V1 goggle fully compatible with NerdCam3D Mk.2 in Squeezed Side-by-Side 3D mode (report, review video). 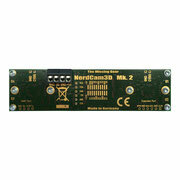 Each NerdCam3D Mk.2 features a built-in stereoscopic on-screen display with commonly requested status information like battery voltage, amperage, RSSI, stopwatch as well as mAh charge counter. 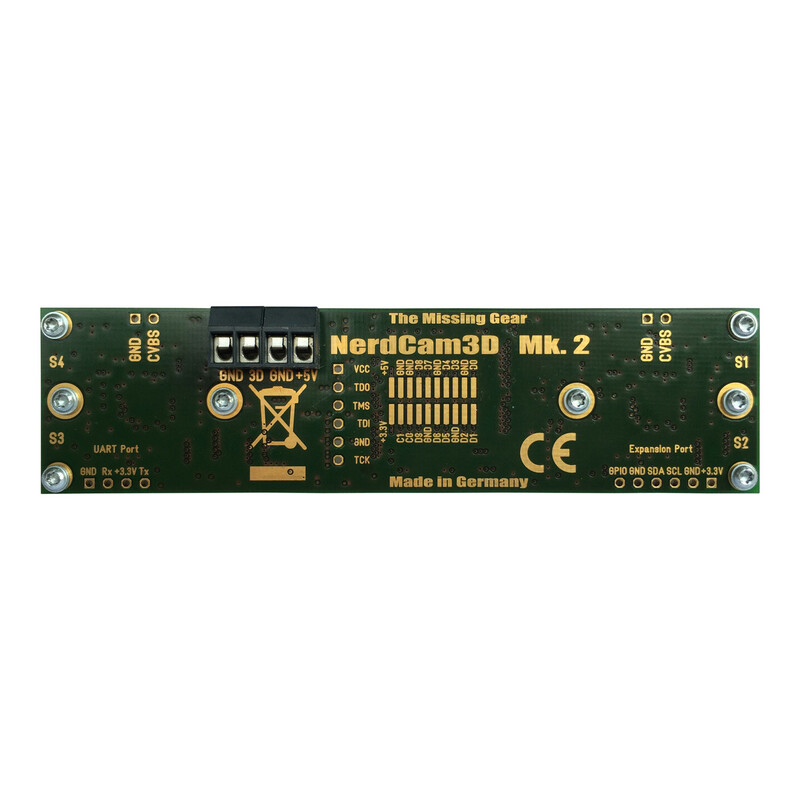 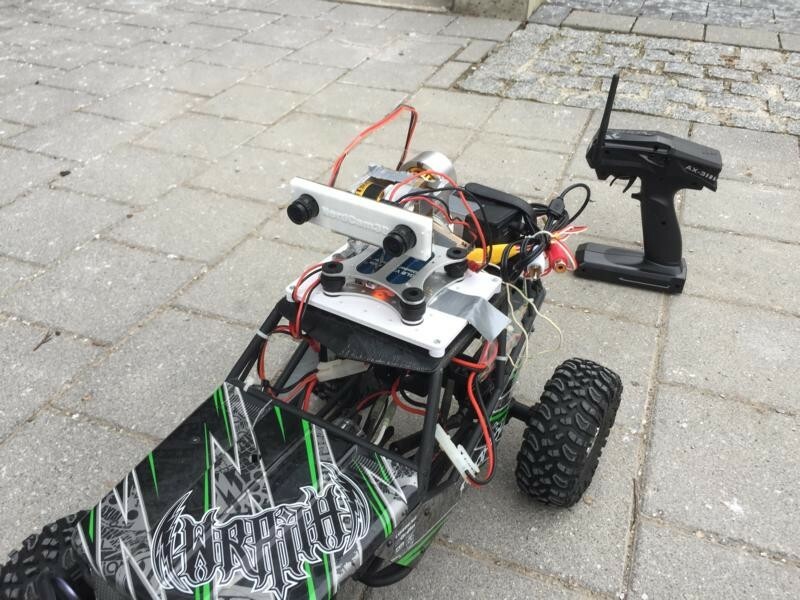 The new NerdCam3D Mk.2 is able to poll and read out telemetry data via MSP (MultiWii Serial Protocol) from any flight controller running MultiWii, Cleanflight, Baseflight, BetaFlight, dRonin or other related flight controller software adhering to the MSP serial interface standard. 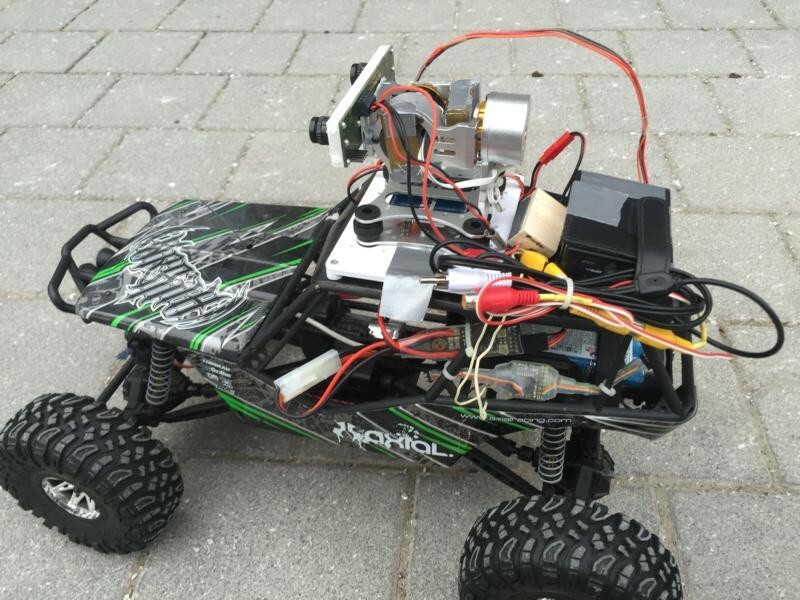 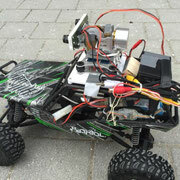 The legacy NerdSense Mk.1 sensing extension board remains supported for the sake of other RC-vehicles. Different OSD-assisted camera calibration modes provide unprecedented ease of operation. 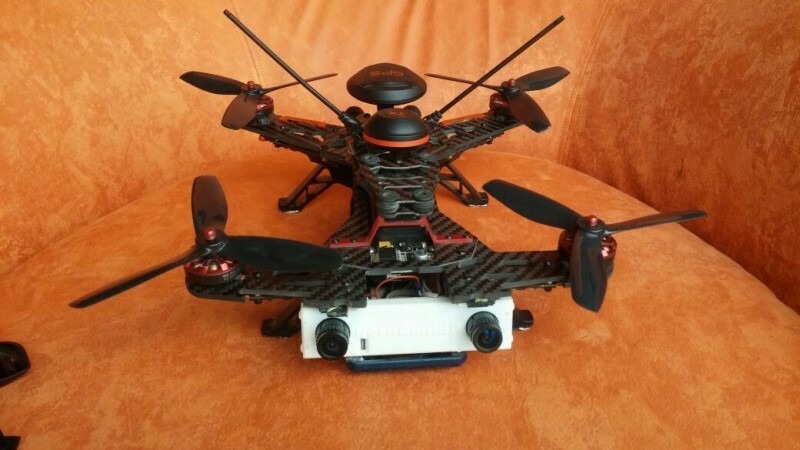 Starting wit S/N 1332 (all cameras from the second batch on) the 3D-OSD (when operated with MSP serial link) is enhanced with GPS support. 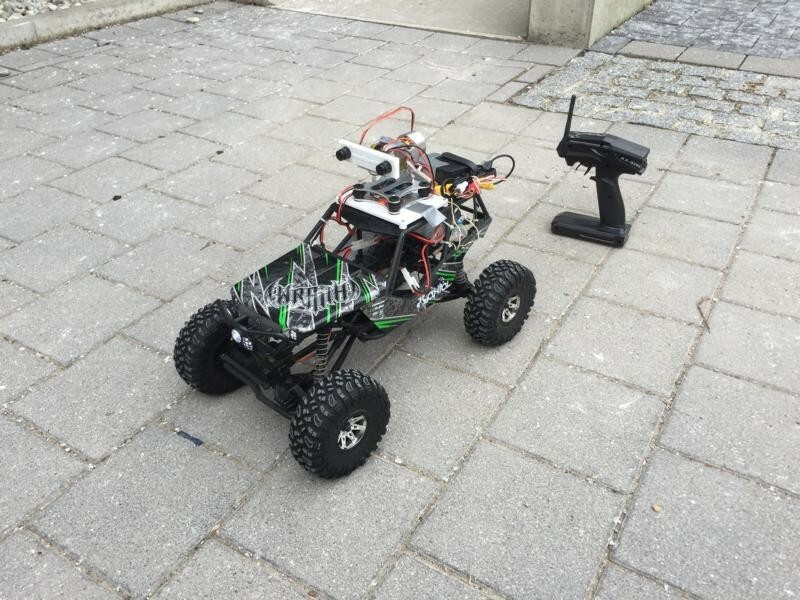 The camera automatically detects the presence of a GPS sensor and acquires the relevant GPS info via serial communication. 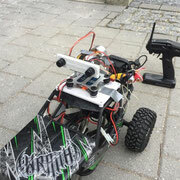 GPS-data is displayed on top of the screen. 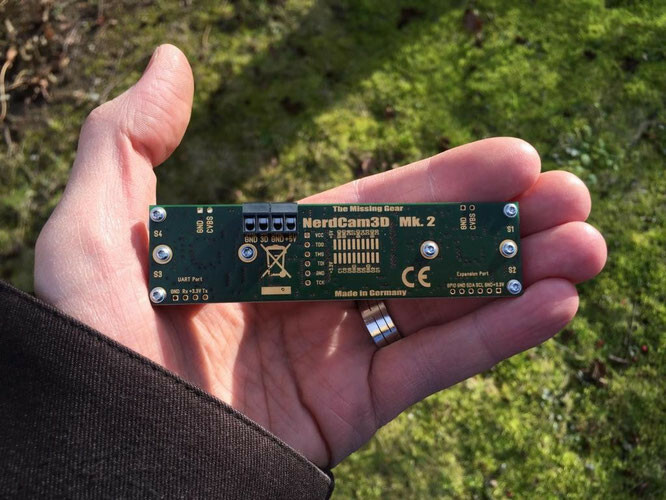 In case no GPS is found the upper OSD line remains empty, independently of the A/C system info on the bottom of the screen. 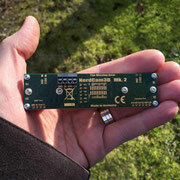 GPS display starts with a satellite dish symbol and the number of detected satellites. 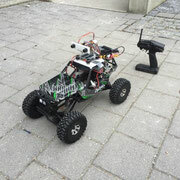 Once there is a GPS fix, GPS speed (km/h) and altitude (m) are displayed. 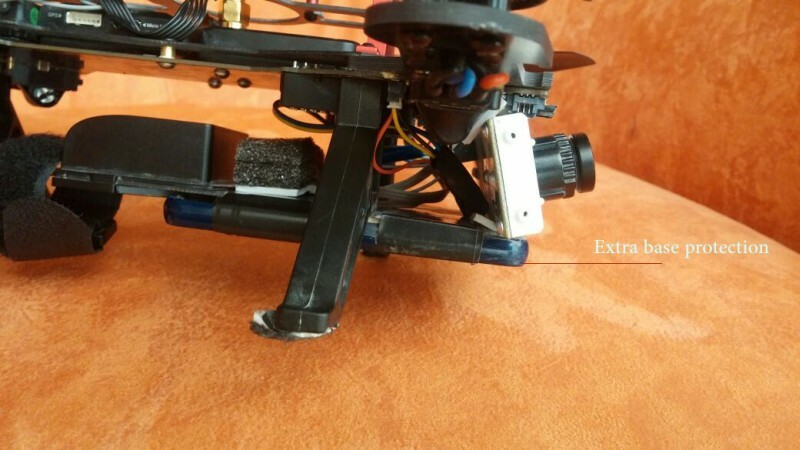 If GPS fix is present and the aircraft is armed the GPS home position is saved and distance-to-home (m) and return-to-home-arrow appear, for guidance back to the respective home position. 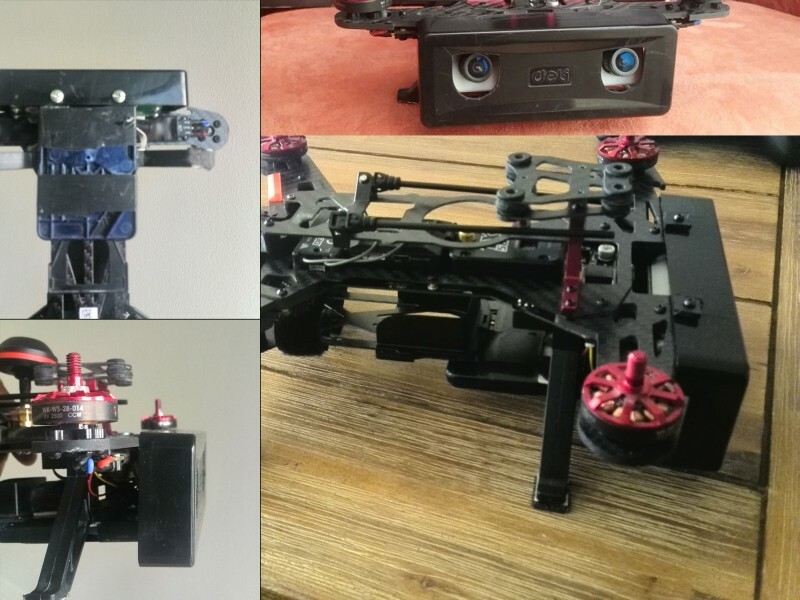 The following videos were originally created in 640x480 VGA resolution using the FPV goggle's on-board DVR and subsequently processed to 720p by cropping, scaling and rearranging using Avisynth.